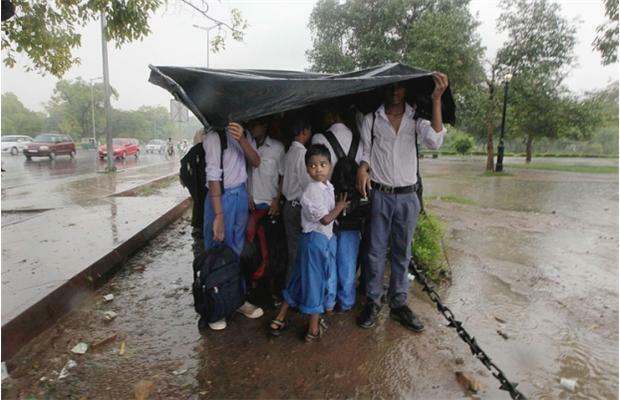 I Me My: Delhi Monsoon - Just Let it Rain! I've never seen Delhi look so green as it did this time when I was visiting India in the months of July and early August. The monsoon was unrelenting, and there was barely a day when the sun managed to break through the blanket of clouds that covered the Indian capital. The monsoon season is much awaited in India because of the largely agrarian nature of India's economy; in fact, the cropping pattern of this country depends on the rainfall the monsoon brings. 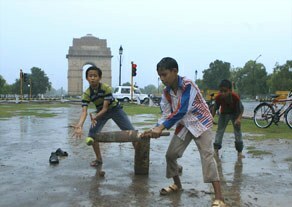 The sheer joy and relief of a good monsoon was evident even in Delhi, the capital of India. 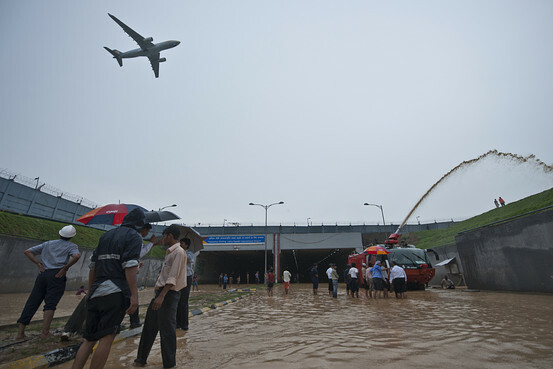 Despite the unrelenting downpours that were oftentimes inconvenient and sometimes costly, the people of Delhi appreciated it, and went on with their lives even as the monsoon lashed over the capital for more than 3 weeks. Traffic was obviously impacted as roads and bridges were water logged. Even the Parliament House had waters coming in as did the Indira Gandhi International Airport, both of which were shut down sporadically to accommodate the onslaught of the monsoon. Several overpasses became rain shelters for two wheelers, and consequently blocked the thoroughfare for cars and buses slowing all traffic to a crawl, if at all. Those riding the two wheelers stayed put, unashamedly or perhaps helplessly, under the concrete shelters of bridges and overpasses and watched the water levels rise and the traffic come to a grinding halt. This would remain so until the rain ceased momentarily, and then the two wheelers would all together try to move in the direction of their destination violating several traffic rules, even as the traffic police watched from the sidelines. However, come afternoon, and it's now a different story, the monsoon rain is no longer to be battled! it's now a source of fun and excitement. 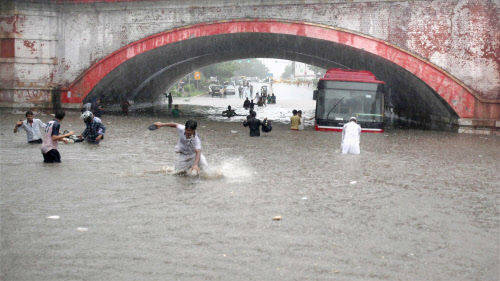 It makes for creative water sports that couldn't be imagined by those living in a non monsoon country. 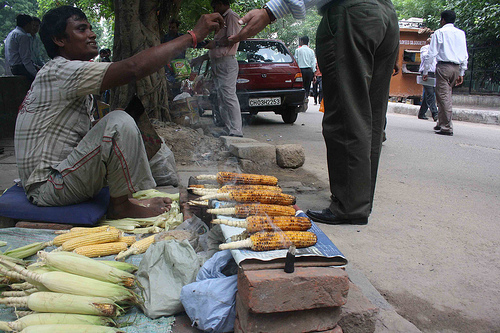 The monsoon season in India is also associated with special food. 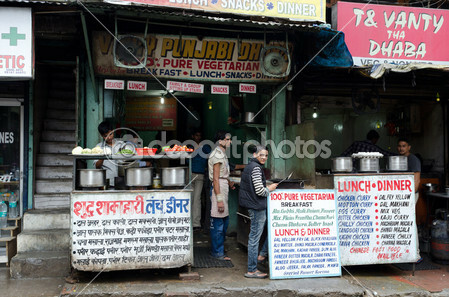 As I travelled around Delhi, I saw business booming in the road side 'dhabas' (kitchens) because they were serving a two fold purpose: providing immediate shelter from a monsoon downpour, and while waiting for the rain to cease or at least lessen in intensity, getting to sip some hot 'adruk or elaichi chai' (tea) for a paltry sum of Rs.5/- (about 8 cents). If time is not of consequence, which oftentimes it isn't, then you could even buy a 'samosa' or 'pakoras' for about Rs.30 /- (50 cents) a plate to go with the chai to make for a full meal. In case you are looking for more variety or want a healthier alternative that is less oily, there is usually a 'bhuttawalla' located in close proximity to these 'dhabas' from who you can buy a freshly roasted 'bhutta' (yellow corn) with zesty lemon and spice rubbed on it. As I drove by these shelter seekers sipping chai at various dhabas, I couldn't but envy their 'enjoy-the-moment attitude' which brought them priceless joy of stolen/unexpected moments of happiness within the monotony of a workday, and all thanks to the monsoon. Rain is symbolic of rebirth and rejuvenation in literature, and I was lucky to witness a living example of this in the Indian Monsoon. What is incredible though is that the people of India, despite the nature of the monsoon and the people's familiarity with it, they still retain the ability to appreciate the significance and the beauty of this natural phenomenon. Cheers to the Indian Monsoon and to the people who celebrate it! Not so beautiful or perfect as you see it.